Today if the person tells you they haven’t been reading a book in over a year, don’t hurry to put them into the “damn” category. They might as well have been e-reading their favorite classics, journals, research and many other materials on the smartphones, tablets or computers. Electronic books are becoming more and more popular in educational systems, where having access to rare and expensive materials and spreading the knowledge and research across the world is crucial. But even at home our younger ones have long mastered reading kids fairy tales with special graphic effects on their tablets. Bookviser is more than just a reading app. It is a masterpiece created by reading fanatics and perfected by their fierce fans. Besides being able to read all most popular formats such as EPUB, TXT and FB2, it gives you a real paper book feeling with flipping pages and different color schemes for day and night. It makes importing your own books or finding new ones in the gallery very easy. Bookviser is one of the most highly customizable reading apps on the market: you can play with fonts, background, margins or decide what indicators (battery, time, etc) you want to see while reading. for your Windows 8 computer and phone. If you like using the same technology on all of your devices, this is a good solution for downloading on your PC and phone. Its simple design supports many electronic formats (HTML, EPUB, FB2) and takes very little of your precious hard drive space. FBReader design is simple and clean. In fact many reviews just love the “no distraction” function that turns the screen into a real book and takes you away into a whole new universe. The app is free, besides, through using SkyDrive and other affiliated services (such as Microsoft Translator) you can get so much out of it. is an easy to use and nice to look at app that is designed by the US largest book store Barnes & Noble. It is free (and will always be as the book giant claims) and supports various files, including EPUBs and PDFs. Nook is more than just an app for making your electronic books appear on the screen – it is a well of information where you can read (for free and for trivial fees) new book releases, latest newspapers, journals and other materials. 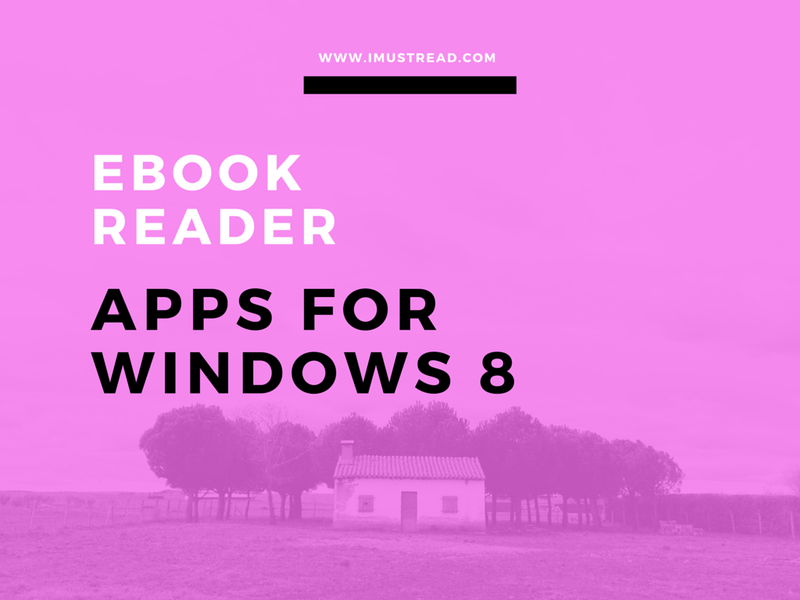 Many readers notice in their feedback that this app works specifically well with Windows 8.1 smartphones, even though it is compatible with many other platforms. Its interface is stunning and those who love highlighting the text in color will absolutely fall in love with this app. is for books like an iTunes is for music – it is an advanced management system that allows you to store files, manage your library, download new books from computer, other free book resources or Calibre own store. It offers a great reading interface, even allows you to edit your books, however, many users complain about the highlighting option missing. Because it’s a complete book storage software, it might be a bit heavy for your device – but the functionality you get in return is completely worth it! is a very well known e-book store and reader. Its interface is simple and its main advantages are synchronization with Amazon store and easy intuitive design. It’s free of charge and pretty light, supports many formats and allows you to customize the look of your digital book in various ways. is the first thing that comes into your mind when thinking about PDF. The kings of digital reading format files developed software that can be installed on most of the platforms (including Windows 8) and supports even EPUB3 formats! This software is free and unbelievably light for its functionality – for only 8 Mb of space you will be able to transfer and download books, read them online or offline, and even open protected files. All this is topped with quick search function, multi-criteria bookmarks and highlights, and even statistics on your reading behavior. allows you to borrow, read and listen books at the same time. This app is specifically designed to borrow books and audiobooks from various electronic libraries, which are the next generation of book crossing. Despite being accessible to users for fee, the app remains ad-free to enhance your reading experience. And its powerful search system can find the name of a character or place in just a couple of seconds. is a minimalistic reader that is often preferred by scholars, academics and simply people who think less is more. It opens EPUB, PDF, MOBI, XPS and even DjVu formats quickly and smoothly. This app is especially convenient for people reading not just for pleasure, but for work or school as well – with Sumatra tabbed browse function you can built cross-references between pages of the same book or in between different books for future quick review. Also you can take its portable version along on a USB and launch it on a work/school or library computer without having to install the app all over again. is one of the cleanest reading apps that offers its users bare necessities while reading all kinds of books. Besides general storage of all your books, Epub Reader offers convenient chapter structure to the left of the text itself. is a special kind of eBook reader and will be especially appreciated by comic lovers. It also works great with other books as well, but its main feature lies within special effects integrated with a touch-enabled device. If you are planning on using Cover together with your kids, then there is a parent control function, as well as possibility to change the layout from smaller to bigger pages that can even be read from left to right or vice versa. Modern technology has been scolded a lot for making us lonely and disconnected from each other. I suggest you choose one of the applications above to dive into the magic world of literature, news and even research. Make your device work for you! Be it at work, on your way home or on the sofa with a piece of pizza - benefit from the most convenient reading apps to read and find out new things! Mary Brains is an avid reader and scrupulous editor at EssaySamurai. He started his academic writing career when realized, that thanks to consuming dozens of books in a month, his writing skills have surpassed those of his professors. He now coaches PhD students on collecting and analyzing big amounts of information.